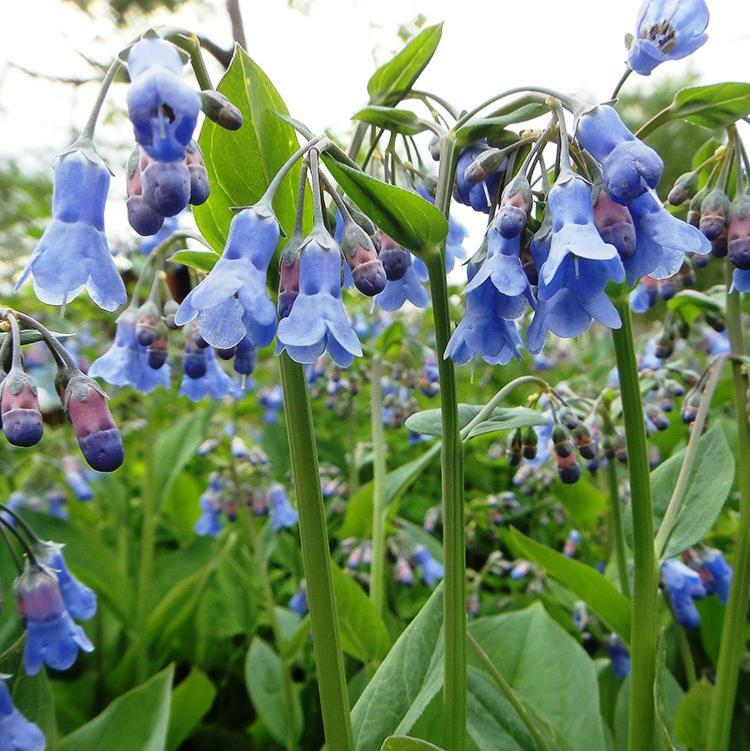 Mertensia sibirica is a rather beautiful and shade tolerant hardy perennial with 'hosta like' glaucous blue foliage appearing in spring. Flowers late spring with bunches of clear blue bell flowers. Grow in groups as you would hostas in part shade. Mertensia sibirica is also known as Mertensia pterocarpa and is native to Japan. Leaves bluish-green, broadly ovate, conspicuously veined, hairy above, glabrous below. Stems upright, sometimes sparsely branched above, with loose inflorescences. Flowers blue, 1-1.2cm long, the lobes short and spreading slightly at the tips. Japan, Hokkaido only, and the Kuriles, in the alpine zone. This is one of the best species for the rock-garden, thriving in gritty, humus-rich soil in sun or partial shade. Height 15-40cm.